Tenth grade, Coach Nix’s English class. His 6’6″ frame was adorned atop with auburn hair and a faint tickling of freckles danced across his face. He lumbered around the classroom like only a former basketball star could. He was my first male English teacher, and this was the year I fell in love: not with Coach, but with literature. Nights soon found themselves spent in reading homework, and while I enjoyed the twisted and forbidden love affair between Hester and Dimmesdale, it was the class discussions each day that thrilled and enlightened me. 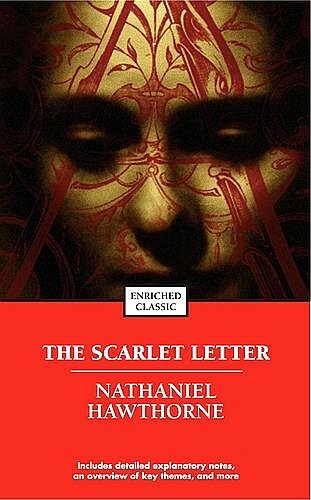 I became obsessed with discovering the symbolism hidden behind every shade of that scarlet A on Hester’s dress, with every action of impish little Pearl, with the agony of the blackened minister Dimmesdale. I investigated each simile, metaphor, and paradox and allusion as if I was a CSI cast member. Imagery washed over my senses with each scene; foreshadowing delighted me and compelled me to turn the page again and again. Hawthorne’s (that’s the author) ability to not only write a story but fill it with literary treasures intrigued me, seduced me even to continue a constant search for each new one. How could anyone write with such profound insight and depth? How many hidden layers of meaning existed between these pages? Were there other books out there with the same power and genius? I had to discover them! And I did…first with the short stories of Hawthorne, then Flannery O’Conner. She was the brilliant southerner who placed such twists in her stories, that I gasped with ever new plot turn. Shakespeare won me over easily with entire plays written in poetic form! Who does that? Oh, there are many others, and you’ll find them all here eventually. After 25 years, my love affair with literature still burns passionately, and now I’m on to pursue the other side of the relationship — the writer!